Man with No Name is an intimate portrait of an anonymous man living in a deserted wasteland in an unnamed part of China. He lives in an underground cave, in a harsh and otherworldly landscape that seems to be entirely cut off from civilization. 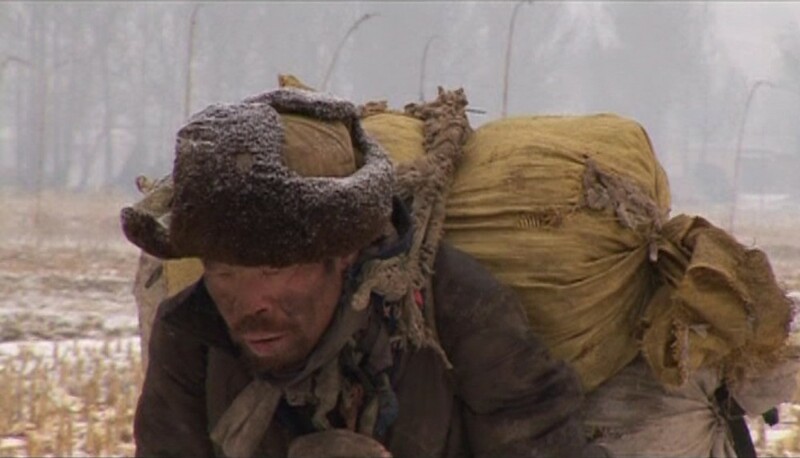 Wang’s film shows man reduced to his most rudimentary elements. It was shown as a double bill with Coal Money. Man with No Name was part of our focus on Wang Bing, for information about other screenings see Wang Bing: Industrial Films. Wang Bing was born in Xi’an, Shaanxi Province, China in 1967, and studied photography at the Lu Xun Academy of Fine Art in 1992, and cinematography at Beijing Film Academy in 1995. He began his independent filmmaking career in 1999. Wang Bing is a leading figure of the exciting documentary movement within Chinese cinema over the last decade. He is renowned for his epic documentaries, from the vast nine-hour panorama of a dying industrial factory town in West of the Tracks to Crude Oil’s real-time portrait of the working day of oil extraction workers. His films offer profound meditations on history, industry and human suffering caused by the inexorable progress of modern China, forging a rare intimacy with everyday life. Curated by AV Festival. UK Premiere. Courtesy Galerie Chantal Crousel.